Here at Mercedes-Benz of Albuquerque, we believe that the most important safety features in your Mercedes-Benz are your brakes, so they need to be taken care of. Not only will they stop your vehicle during emergencies, but they also regularly communicate with your steering system, engine, four-wheel-drive system and the anti-locking system while maintaining your level of your control as you drive. Your brakes come in handy during harsh weather conditions and help you stay stable as you travel. The system is based on two features – the brakes themselves and the hydraulic fluid that pressurizes them – which work together. Because of friction, the brakes will wear down and your hydraulic fluid will become contaminated by taking on water as time goes on. This will lead to the performance of your brake system becoming impaired, which means the brakes will not be as responsive. Our service department at Mercedes-Benz of Albuquerque, we encourages our customers to periodically bring their Mercedes-Benz vehicles into our dealership and have their brakes inspected. If you hear a high-pitched squeal or harsh grinding sound when you apply your brakes, that is an indication that you might need new brake pads or even new rotors. Vibrations when you apply your brake pedal could mean your rotors are warped, and there might be a leak in the brake system if you find yourself having to push your brake pedal lower than normal. That is where our trained service technicians come in. Mercedes-Benz of Albuquerque understand that your braking system was specifically engineered to your Mercedes-Benz’s unique design and we have the experience to thoroughly look over every inch of it. We will resolve any issue you have, replace your parts with OEM components and get you back on the road in no time. 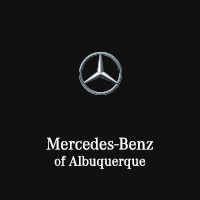 Here at Mercedes-Benz of Albuquerque, we always want you to have the peace of mind that you deserve while driving. Knowing that your brakes are operating at peak performance will be a huge part of that. Our highly qualified technicians are here to provide exceptional service in a timely manner. For any questions you have or to book your next service appointment, you can call us at (505) 821-4000 or schedule online.